In the spirit of The Little Prince, this enchanting fantasy about the adventures of a shipwrecked brother and sister is a book for young people best appreciated by grown-ups. At the heart of its message is an impassioned plea for the magic and power of words. Jeanne, the tough-minded ten-year-old narrator, and Thomas, fourteen, are traveling to America on an ocean liner to visit their mother when a violent storm sinks their ship and tosses them up on an island. They are unhurt, but the shock of the experience leaves them without the ability to speak. Taken into the care of Monsieur Henri, an elderly islander, Jeanne and Thomas discover that the island is unlike any place they've ever been. There is the Word Market, where Monsieur Henri visits the Poets' and Song-Writers' Corner to see if they have any rhymes for sweet and mom. At town hall, pairs of words are married by the mayor. And Jeanne sneaks off to the Vocabulary of Love Shop, where a woman whose husband has left her wants to buy "a word that will make him understand how hurt I am, a mighty word that will make him ashamed." 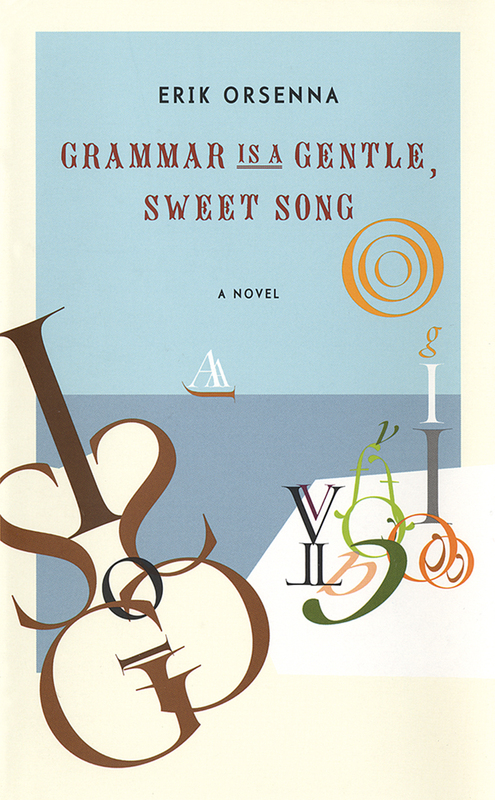 A celebration of language in all its forms, Grammar Is a Sweet, Gentle Song will delight confirmed word-lovers and inspire the uninitiated with the pleasures of the spoken and written word.